In a recent chat with two of the biggest pop stars on the planet, Ryan Seacrest valiantly brought up something that many consider to be one the most banal topics of conversation: the current and future atmospheric conditions. (Let it be known that I am not one of those people; call me a bore all you want, but I could wax poetic about the weather all day every day.) 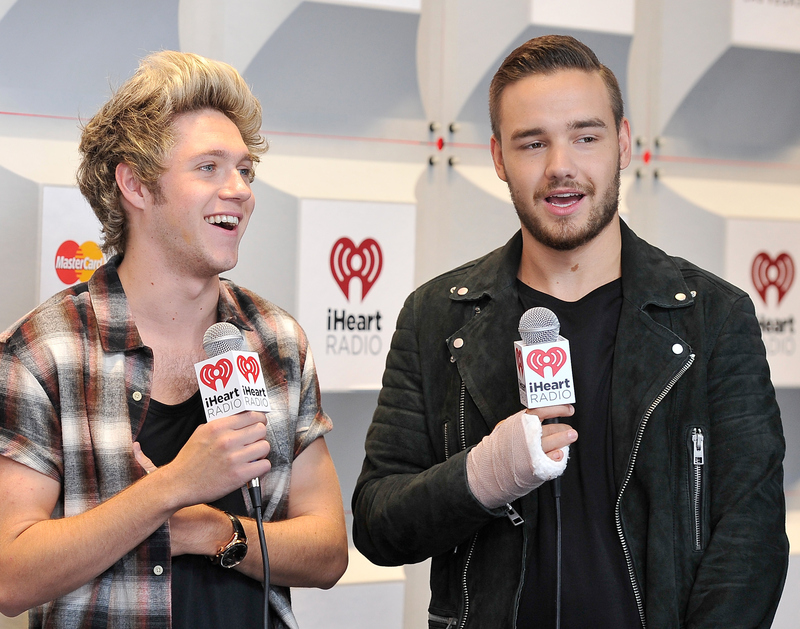 Thursday morning, One Direction's Niall Horan and Liam Payne visited On Air with Ryan Seacrest and chatted about Made in the A.M., the group's impending hiatus, “Hotline Bling,” and the weather. One Direction and weather talk? Be still my heart. When Seacrest asked them to read the day's weather report, Horan and Payne obliged. They put on their best radio DJ voices and recited the forecast for the KIIS FM audience. Both performances are beautiful, enthralling, go above and beyond, etcetera. "But which performance is better?" you ask. "If one of the two guys were to read the weather to you every day for the rest of your life, who would you choose?" Um. Uh. Erm. I can't decide. Do I have to? OK, fine. I'll try to figure it out via a really complicated grading rubric. The character: Niall went with "American radio DJ." His American accent is very believable. 10/10 points. The tone: The adenoidal voice sounds nothing like Niall. I can't help but picture a guy with bright orange hair and frosted tips. Oh, and he's wearing a pair of Oakleys indoors. This nasally affectation really fleshes out the character. 10/10 points. The delivery: Genuinely appreciate the straightforward, no-nonsense reading. If I'm seconds away from walking through the front door but can't decide if I need to wear a jacket, I don't have time for a dillydallying forecast. Get on with it! 10/10 points. The character: Liam went with "BBC radio DJ." I love a British accent, so this is an A+ in my book. 10/10 points. The tone: This is quite possibly the most soothing reading of the weather I’ve ever heard. Sing me to sleep, Weatherman Liam! 10/10 points. The delivery: Rather than cut right to the chase, Liam uses some artfully placed pauses to build the suspense: But WHERE will it be in the 70s, maybe 80s? Don't leave us hanging like that. I'm on the edge of my seat. Oh, Hollywood you say? What a twist! Yeah, this contradicts what I said about Niall's delivery, but whatever. I can't deny that inspired pacing. 10/10 points. The results: Niall— 30 points; Liam— 30 points. Well, hey! It's a tie! I choose Liam and Niall! They're both winners! The weather is a winner! We're all winners!